Online 8-Ball Game, American 8-Ball Pool, play 8-ball pool online for free. 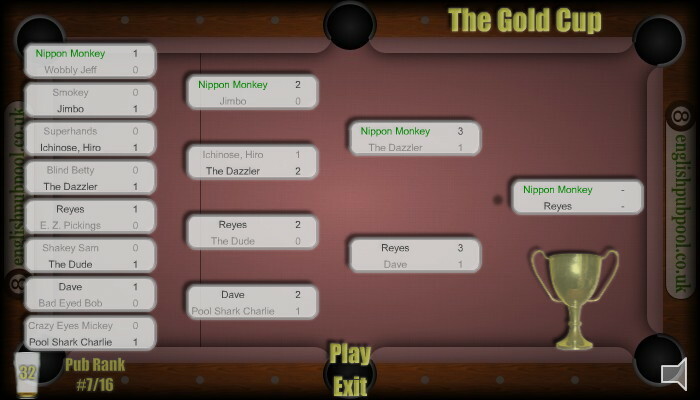 Play online 8-ball pool tournaments and straight pool tournaments, win cups and set top scores. 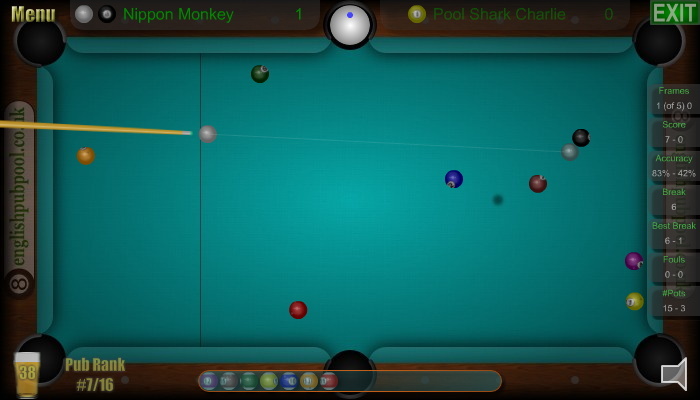 American 8-Ball Pool is one of the best free online 8-ball pool games on the web. Play online 8-ball pool against the computer or your friends.